First: Check the pot size. Have you recently moved your plant into a larger pot or added new soil? If so, this is the most likely cause of your plant’s problems. Unnecessary repotting and over potting are the most common cause of plant problems. Second: Consider the available light. Every plant has a range of acceptable light intensity. If the available light is outside that range (too little or too much), then your plant will gradually decline. Fertilizer, humidity and changing the watering frequency will not correct light deficiencies. You must match your plants with their light requirements. Third: If the pot size is OK and the light intensity is acceptable, then improper watering is the next most likely cause of plant problems. Most potted plants do best when the top inch or two of soil is allowed to dry before watering thoroughly. However, some plants (succulents) must dry out more than that between waterings others while (peace lilies, ferns) must be watered as soon as the surface of the soil feels dry. 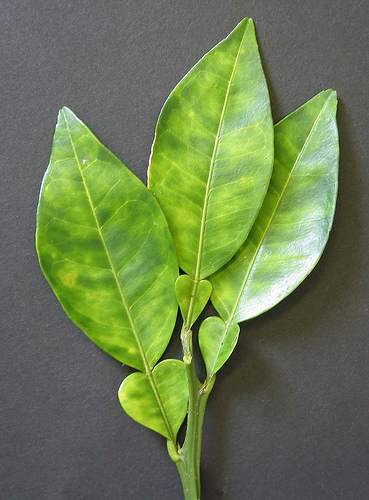 Fourth: If leaf tips are discolored, evaluate your water quality and fertilizing. Excess mineral salts cause leaf tip damage. These excess mineral salts come from using hard local tap water for your plants and from using too much fertilizer. 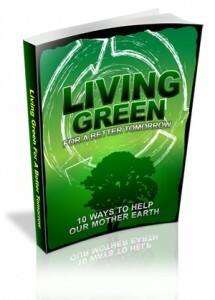 The solution is to use distilled or filtered water and to stop fertilizing. Fifth: Next examine your plant for signs of insect pests. Spider mites appear as dust like particles on the undersides of leaves and make tiny webs. Mealybugs appear as tiny specks of white, cotton-like material where leaf stems join trunks or branches. Scale insects look like small raised freckles along leaf stems and on leaf surfaces. They also leave a trail of sticky “honeydew” under the infested plant. Fungus gnats show up as tiny flying gnats. Aphids are oval, slightly raised bumps on tender newly emerged growth. White flies are aptly named and swarm about when a plant is disturbed. Make a habit of checking your plants regularly (at least monthly) for early signs of plant pests. They are much easier to eradicate when you treat them before they infest the entire plant. Sixth: Check the pH of your soil. Soil that is too acid (below 6.0 pH) or too alkaline (above 6.8 pH) prevents soil nutrients from being absorbed by plant roots. Seventh: Consider temperature extremes. Most houseplants are from tropical regions where temperatures are in the 55 to 90 degree range. Temperatures outside this range can damage to plant leaves and stems and to plant roots if the exposure is for an extended period of time. Next to last: Very dry air can be a problem for a very limited number of exotic houseplants. Contrary to popular belief, most houseplants can do just fine in low humidity, as long as the soil is watered properly. Plant symptoms are often attributed to, but are rarely the result of, low humidity. Misting helps keep plants clean, but does not effectively raise humidity levels. Last: Nutrient deficiencies are often assumed to be the cause of plant ailments and fertilizer is assumed to be the cure. Nutrient deficiencies are, in fact, the least common cause of all plant problems. Indoor plants use very little nutrients and they cannot be force-fed. Most potting soils have several years’ worth of nutrients. If your plant has been in the same pot and soil for several years or more and is growing well, then it may benefit from fertilizer. Ailing plants are poor candidates for increased nutrient supply.